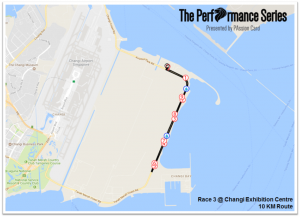 Race Review & Experience: The Performance Series 2017 – Race 3 Changi Exhibition Centre [10KM] (by Rebekah Ong) | JustRunLah! 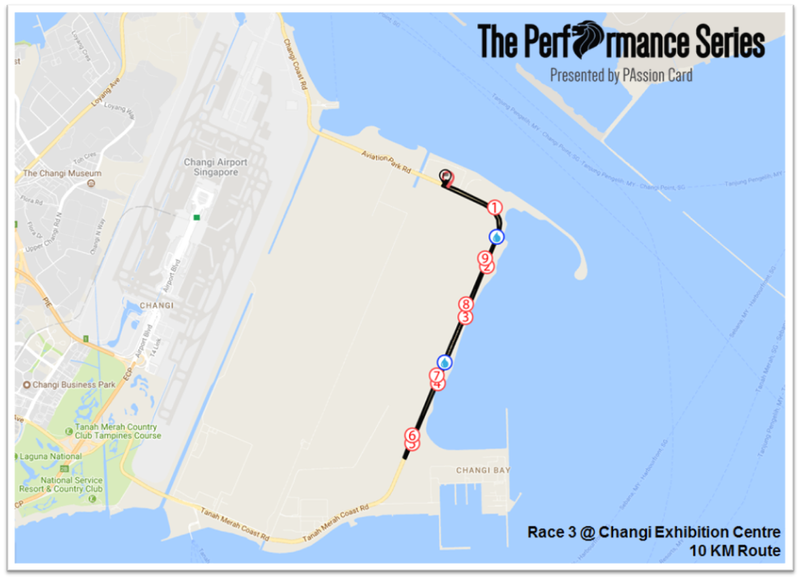 The Final race for the for 2017 Singapore - The Performance Series. Over the weekend, many others and I completed the last race for the for 2017 Singapore – The Performance Series (TPS) at Changi Exhibition Centre. 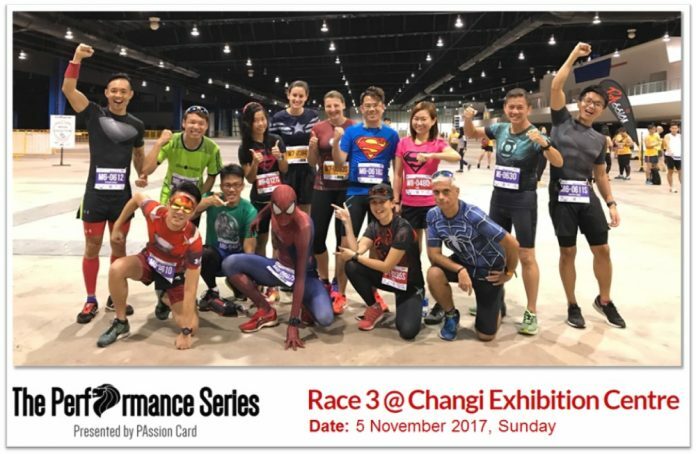 The 2017 Singapore Series has brought participants on a journey from Stadium Riverside (Race 1) to Punggol East (Race 2) and lastly to Changi Exhibition Centre (Race 3), all around Singapore and it’s iconic landmarks. The route for Race 3 would feature the newly-built Tanah Merah Coast Road, where undisturbed greeneries with sights of occasional commercial planes flying past above taking off or landing at Singapore Changi Airport was promised. After reading that on JustRunLah’s website, I was definitely looking forward to experiencing for myself. 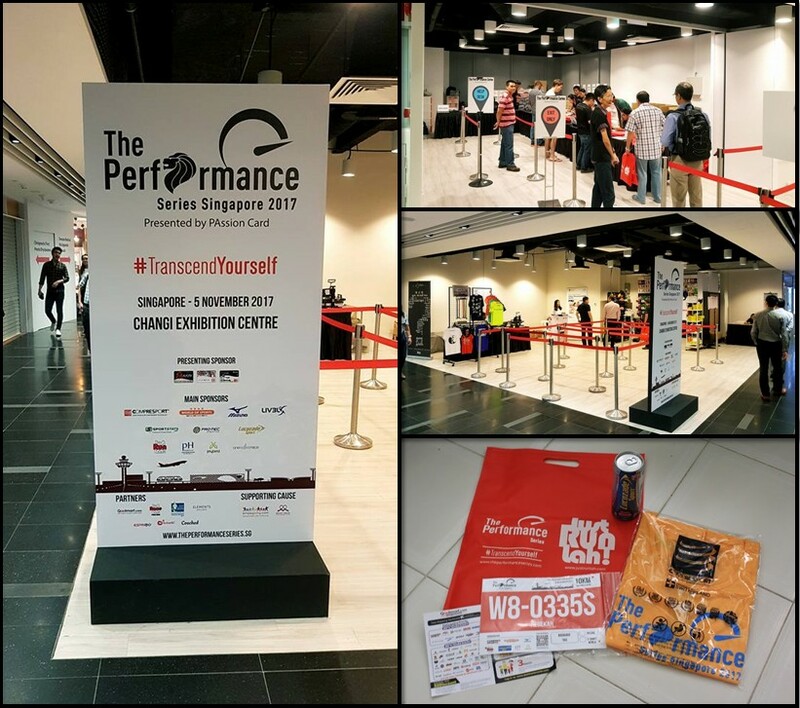 For Race 3, the REPC was held at the same place as Race 2 which was Raffles Place Shopping Mall Level 3. 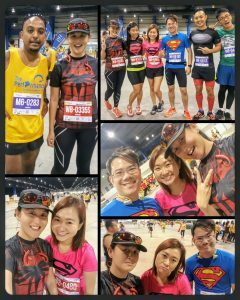 It was held on a Friday (27 Oct 2017) and Saturday (28 Oct 2017) and I collected my race pack during lunchtime on Friday with another colleague of mine. 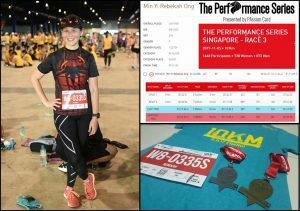 Though I collected my race pack during lunch which supposed to be like peak timing, there were no long queues or wait time! This is important as lunchtime is really precious and time spent on queuing means less time for eating. I love that the organiser held the REPC at Raffles Place Shopping Mall because it’s a very convenient place because it’s sooo near to my office. Like most races, the race pack contents were frills-free with a can of Lucozade, race tee, race bib and some vouchers. I think it’s simple and practical though sometimes I like to be surprised by race pack contents. The flag-off for Race 3 10KM category was super early, it was scheduled at 06:30hrs. Thankfully the organisers had arranged for shuttle bus services to and from the race site. These tickets were priced $7 one way and I had actually bought return trip tickets. My friend who had signed up for the race pretty late had offered to give a lift both to and from race site. It was really nice that he offered and I took him up on it. It was a 40 minutes’ drive from the North to the East side of Singapore even though there were not many cars on the road. 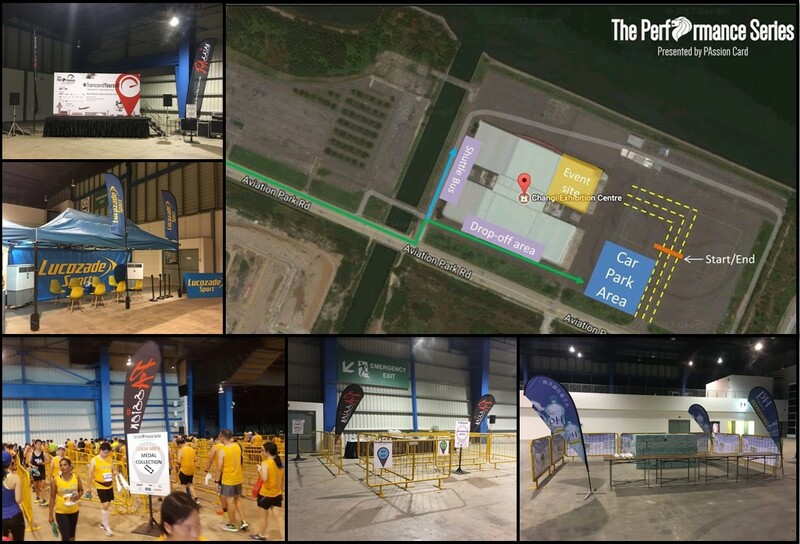 Upon reaching the race site, we were guided by the well-placed signs and helpful security personnel to the parking area. 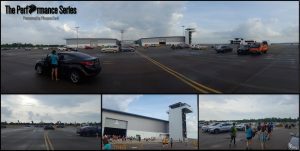 There was ample parking space and we were impressed at how organised everything was. Coincidentally, after parking, we met some the Superhero Runners and we all headed to the Main Hall of the Exhibition Centre to meet up with the rest of the team. 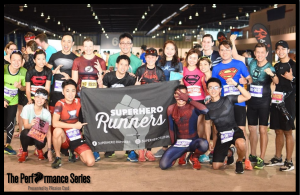 There were altogether 19 “heroes” from the family of Superhero Runners attending this run event, 14 from the 10KM category and 5 from the 21KM category. I quickly made a stop the mobile toilets outside the hall and thankfully there were no queues. Upon stepping into the Main Hall of the Exhibition Centre, I was wowed by the spaciousness of the place. The organisers had done a good job in segregating the large hall into segments. After taking some pre-race photos, we headed out towards the START pen where you can hear the emcee and upbeat music playing! Like TPS Race 2, the Superhero Runners were given the privilege to start at the front! Superhero Runners are the motivational run leaders at 2017 Singapore edition of The Performance Series. You can read my review of Race 2 here to find out what the motivational run leaders do. The group had decided to do a 5min/km and 6min/km pacing, I know I would not be able to keep up with that kind of timing so I told them I would drop off to my 7+min/km pace. While waiting for the flag-off, the emcee did a fantastic job of keeping the crowd entertained and excited for the start of the race! The race was flagged off promptly at 06:30hrs. The weather was race perfect! It was cooling and breezy as it had rained the night before. The floor was neither wet nor slippery so the conditions were just right. 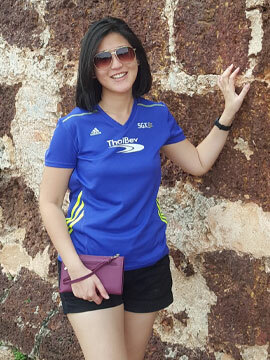 Running along the newly-built Tanah Merah Coast Road was quite an experience. I enjoyed the long, straight and flat roads which were peaceful in the early hours of the morning. It was a simple loop U-turning at the 5km mark and running along that route was invigorating, as it was flat and fast! NO SLOPES was definitely one of the best thing about this route!!! The views of the Changi coastal line was really beautiful, where you can see ships that were parked glowing in the rays of the rising sun and once a while you can spot planes flying off. Hydration stations → Some of the participants including me felt that the hydration stations were spaced a little too close together. They were placed in the first few kilometres so on the return league, there weren’t any drinks till about the 7.5KM mark or so. The plus points were that they were still long enough and serve cold drinks to the participants. They were never congested and were always stocked with both plain water and isotonic drinks. Distance Markers → I loved the encouraging quotes and pretty pictures of these signs. Everything was well-placed for the first 5KM of the route but after the U-turn point, the distance markers were not accurate anymore. Though not a big issue, it was a bit distracting when you saw the signs and compared it against your watch, it displays a different distance. The loopback was not an easy one as I was a bit tired and I saw most of my friends had U-turned when I was at the 4KM mark. I continued pushing on and I crossed the FINISH line with an official timing of 1hr 11mins and it was a fantastic feeling. High-5s and cheers on a job well done were received from the team of Superhero Runners who had finished earlier! 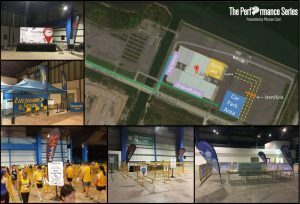 We waited for one more team member before heading back to the event hall for the Finisher medal and Finisher Tee collection. 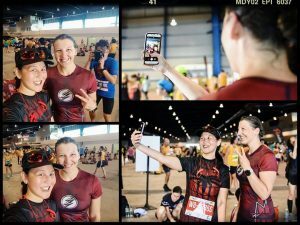 As this was the last race for this series, I received an extra connecting medal because I had signed up for all the 3 races. I always love TPS medals as they have a nice theme if you collect all! The collection was fast and organised. Signs were there to guide participants to the correct queues and volunteers were well briefed on what they needed to do. 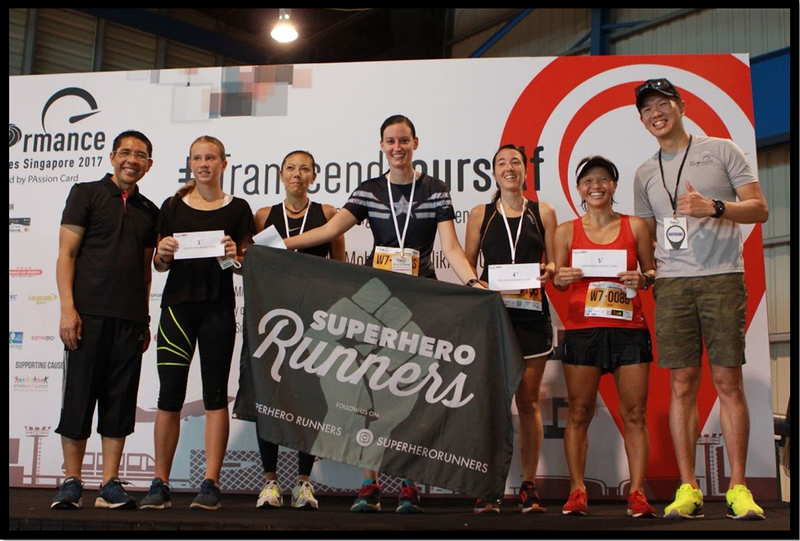 After collecting our Finisher entitlements, we headed for the main stage as one of our “heroines” finished on the podium. Congratulations Theresa Schweigel for finishing 3rd in the 10KM Women Category with a fantastic finishing time of 47:55:5. We are soooo happy for you! Awesome effort! Overall I enjoyed the final race of the 2017 Singapore – The Performance Series. It was a well-organised run event which kept to its promise of bringing participants to unique running routes and giving them a wonderful race experience. Big thanks to the organisers for their hard work and dedication in making every race experience a good one. 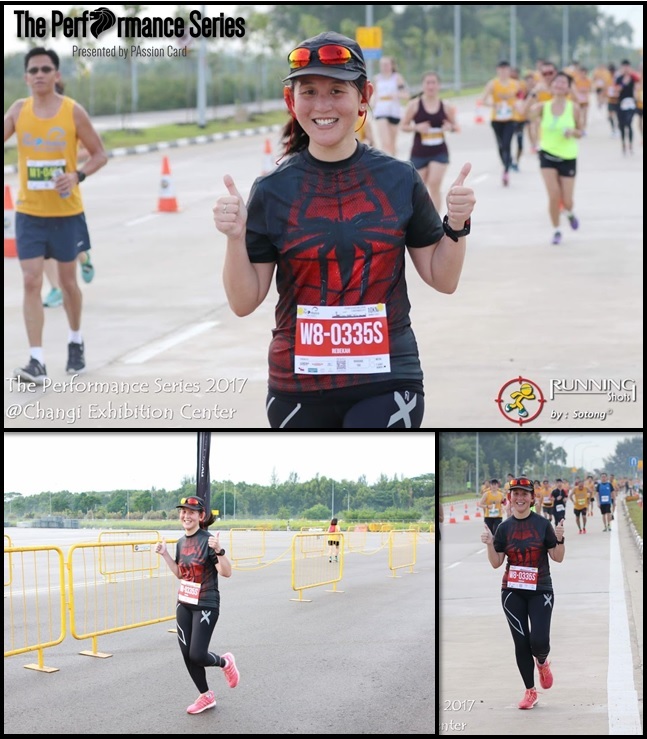 This year series was also something I’ll keep in my memory bank for a long time because of the experience of running with my Superhero Runners family. They have made me felt part of them and motivated me in my own running journey this year which also encouraged me to motivate others on their running journeys. Thanks, guys! You all are definitely special and I look forward to our weekly Tuesday sessions and outings. 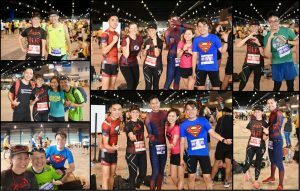 Lastly, I would like to thank you to my friend, Terence for those awesome post race shots of the Superhero Runners family! These will be memories to be treasured. Until my next write-up, let’s all continue to keep fit and motivate everyone! Hope you enjoyed reading this review on 2017 TPS Race 3.